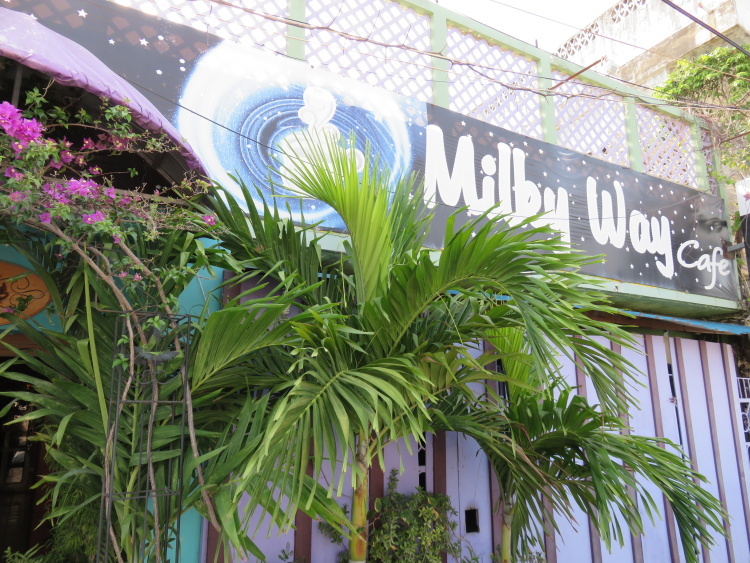 A few friends had mentioned that Milky Way Cafe is a favorite spot to eat lunch in Belize City. So to get a bit more information, I visited the their facebook page and fascinating website. Much of the site seemed to be written by a random word generator (or perhaps a comic genius!) Sentences like “The Cheetah Grain Theme was in March 2013. It combines to our new product, Cheetah Coffee. The new design invites you to enjoy our fashion environment. ” Ummmm…what? INTRIGUING. I HAD TO STOP IN. 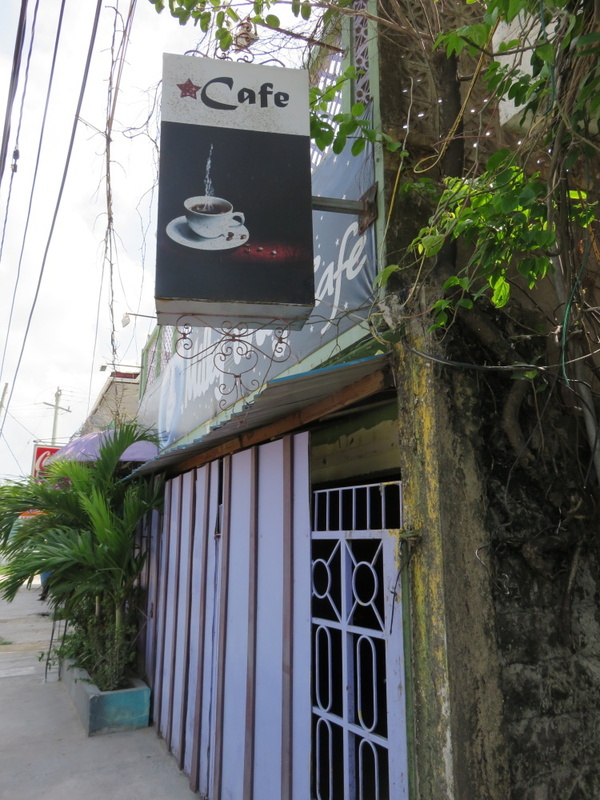 Easy to find in Belize City but the front of the building has you wondering if the place is open or closed. And then a pretty huge space. 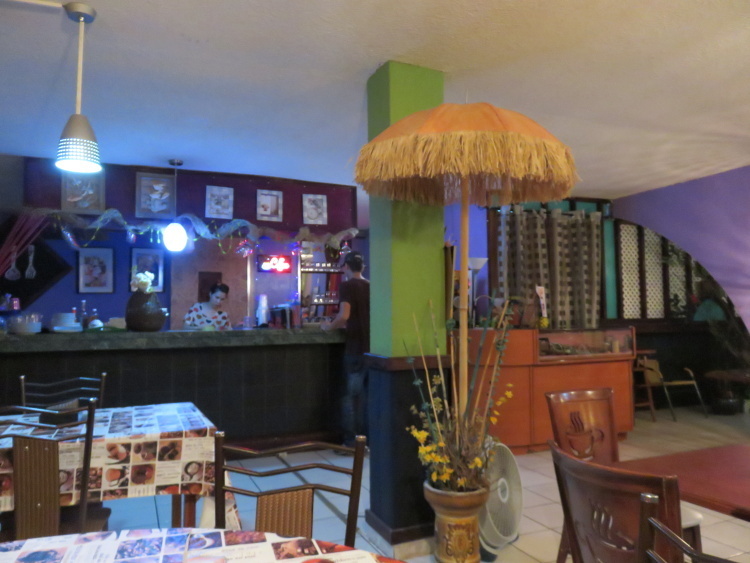 Part flea market, part discoteque, part ice cream shop, part tiki bar, part your Chinese grandmother’s living room. 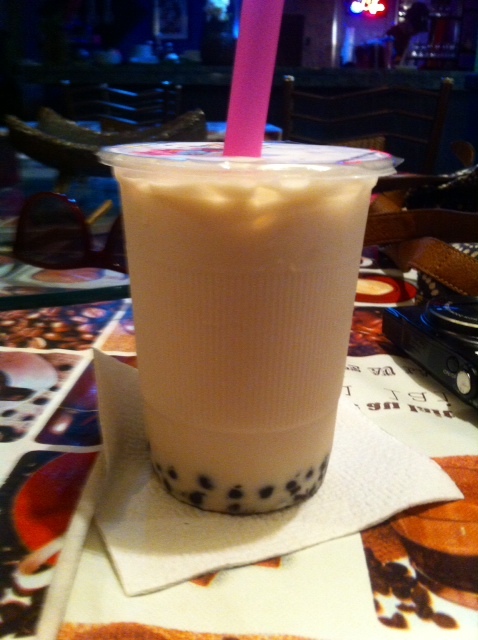 The decor, the food menu, the drinks, ice cream/smoothies and bubble tea menu (a Taiwanese thing – yummy flavored milk with strange flavorless gummy globs at the bottom)…this place is GOOD TIMES. Kids would love it, adults will love it. 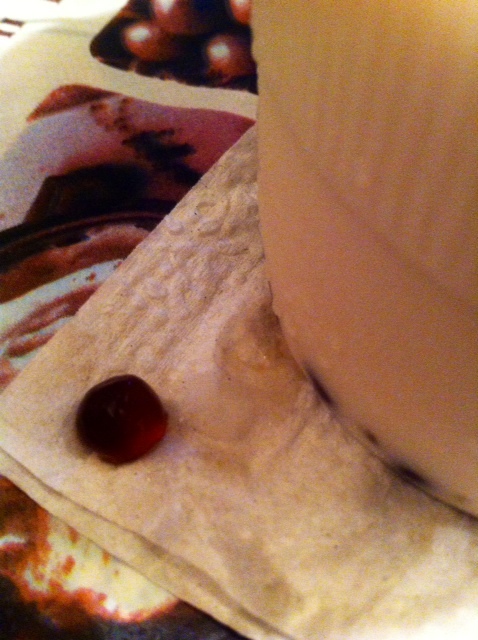 The globule that snakes it way up your super thick straw? Not so good. 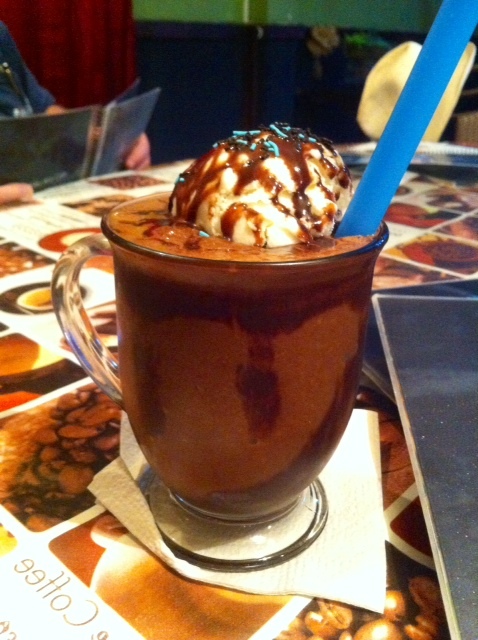 The banana chocolate “smoothie” though is DELICIOUS! DRENCHED in chocolate sauce and with a huge ball of vanilla ice cream, this is definitely not your average health smoothie. It’s much better. There’s a banana in it, right? 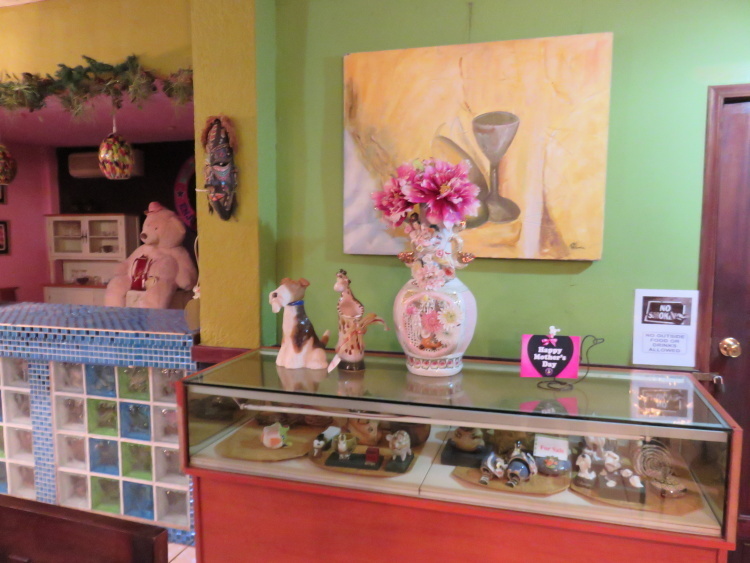 With some odd knick knack in every corner, you’ll have lots to keep you busy. Here is one of my favorites. That sat on an old fashioned piano in the corner. Uhhh…what is it? Okay…a visual feast and the drinks are fun and/or delicious but how’s the food? 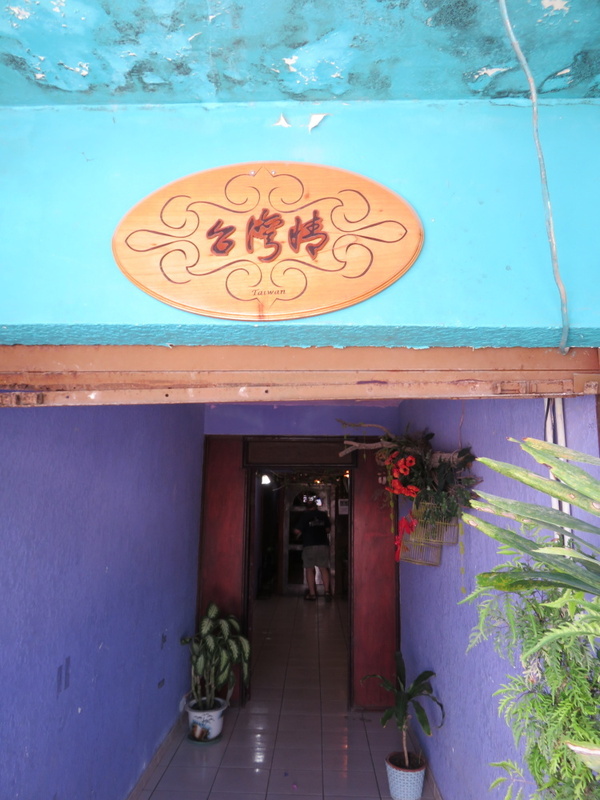 Surprisingly tasty and the best Asian food I’ve had in Belize City. 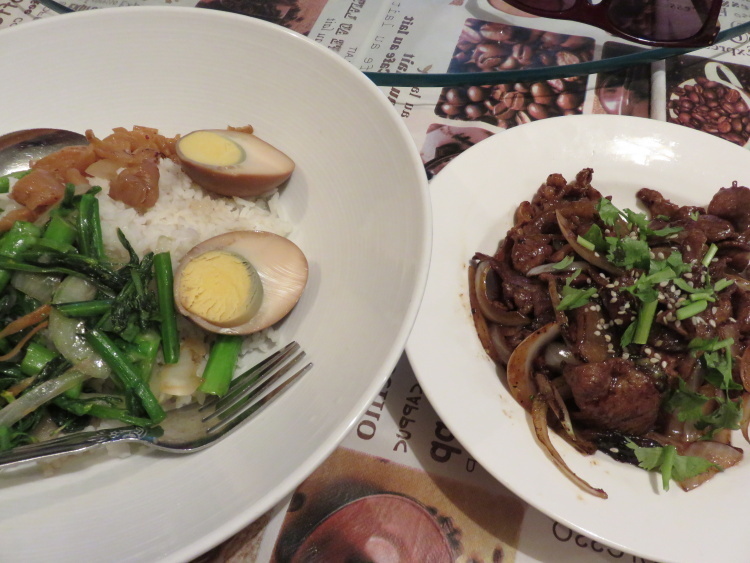 I went for the $18bzd BBQ pork and got so much more. Yum. Crispy greens. An egg marinated in what tasted like chinese 5 spice. Yummy. And sweet, slightly bitter, cilantro-y pork that I’d eat again in a heart beat. 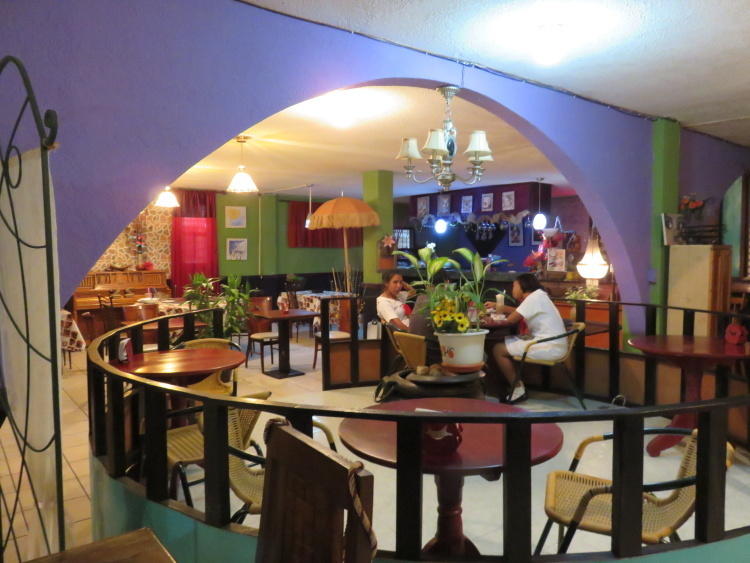 So…put this on your list for a strange, fun, delicious meal in Belize City. 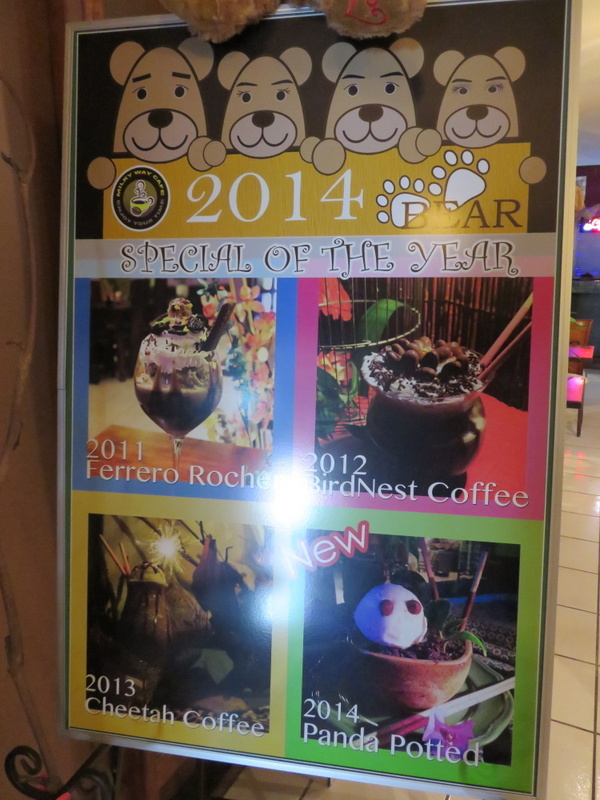 Or just stop in for an elaborate and damn good ice cream sundae or frozen cappucino or even try a bubble tea. 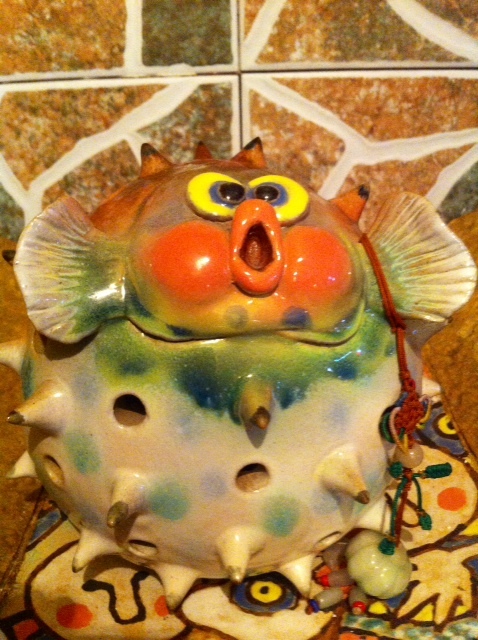 Get something in a flower pot! GO NUTS! I’ll say it again. This place is so totally different and very good times. You must try.